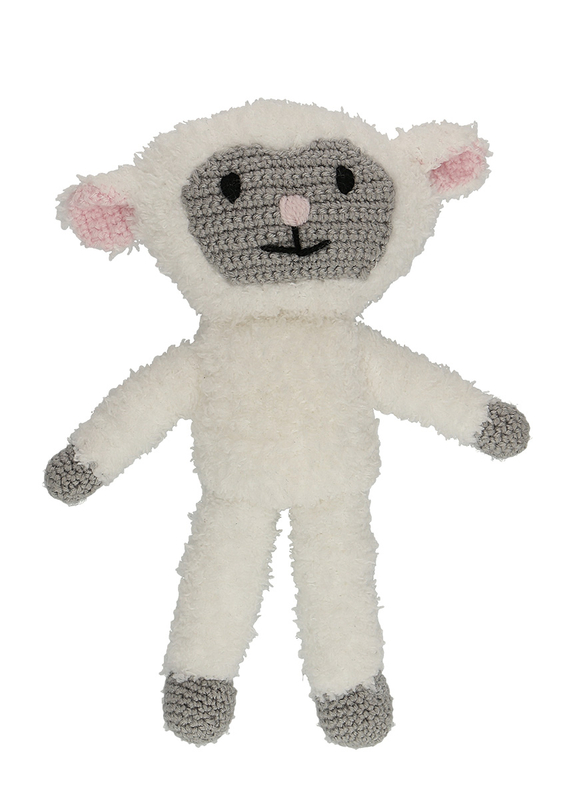 This sweet little lamb is destined to be a new favorite comforter. Thanks to the yarns of the Baby Smiles collection, it can even withstand some chewing on its ears. But before snuggling, your knitting and crochet skills are needed. And you will need some basic sewing skills. To start, you will knit the separate body pieces on DPNs, in Baby Smiles Lenja Soft in reverse stockinette. Then the face, hands and feet are crocheted, stuffed and finishing seams applied. The finished little lamb has a size of approx. 26 cm (10").